This lovely Handbag Charm is handmade and you will not get 2 sets the same. 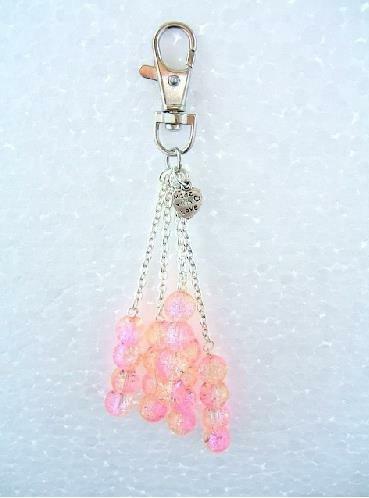 The design of this Handbag charm has 5 Silver plated chains each with 4 Crackle glazed beads hanging from the chains. This will make a lovely addition to a plain handbag.